Susannah Cahalan is a news reporter at the New York Post whose award-winning work has also been featured in The New York Times. She lives in Jersey City, New Jersey. It's a cold March night in New York, and journalist Susannah Cahalan is watching PBS with her boyfriend, trying to relax after a difficult day at work. He falls asleep, and wakes up moments later to find her having a seizure straight out of The Exorcist. "My arms suddenly whipped straight out in front of me, like a mummy, as my eyes rolled back and my body stiffened," Cahalan writes. "I inhaled repeatedly, with no exhale. Blood and foam began to spurt out of my mouth through clenched teeth." It's hard to imagine a scenario more nightmarish, but for Cahalan the worst was yet to come. In 2009, the New York Post reporter, then 24, was hospitalized after — there's really no other way to put it — losing her mind. In addition to the violent seizures, she was wracked by terrifying hallucinations, intense mood swings, insomnia and fierce paranoia. Cahalan spent a month in the hospital, barely recognizable to her friends and family, before doctors diagnosed her with a rare autoimmune disorder. "Her brain is on fire," one doctor tells her family. "Her brain is under attack by her own body." Cahalan, who has since recovered, remembers almost nothing about her monthlong hospitalization — it's a merciful kind of amnesia that most people, faced with the same illness, would embrace. But the best reporters never stop asking questions, and Cahalan is no exception. In Brain on Fire, the journalist reconstructs — through hospital security videotapes and interviews with her friends, family and the doctors who finally managed to save her life — her hellish experience as a victim of anti-NMDA receptor encephalitis. The result is a kind of anti-memoir, an out-of-body personal account of a young woman's fight to survive one of the cruelest diseases imaginable. And on every level, it's remarkable. The best journalists prize distance and objectivity, so it's not surprising that the most difficult subject for a news writer is probably herself. And although she's young, Cahalan belongs firmly to the old school of reporters — she writes with an incredible sense of toughness and a dogged refusal to stop digging into her past, even when it profoundly hurts. One of the most moving moments in Brain on Fire comes when Cahalan, preparing a New York Post article about her illness, watches videos of herself in the hospital. She's horrified, but finds that she can't look away. "I was outrageously skinny. Crazed. Angry," she writes. "I had the intense urge to grab the videos and burn them or at least hide them away, safe from view." But she doesn't, and she barely flinches when her loved ones tell her about the paranoid delusions that held her firmly in their grasp for several weeks. 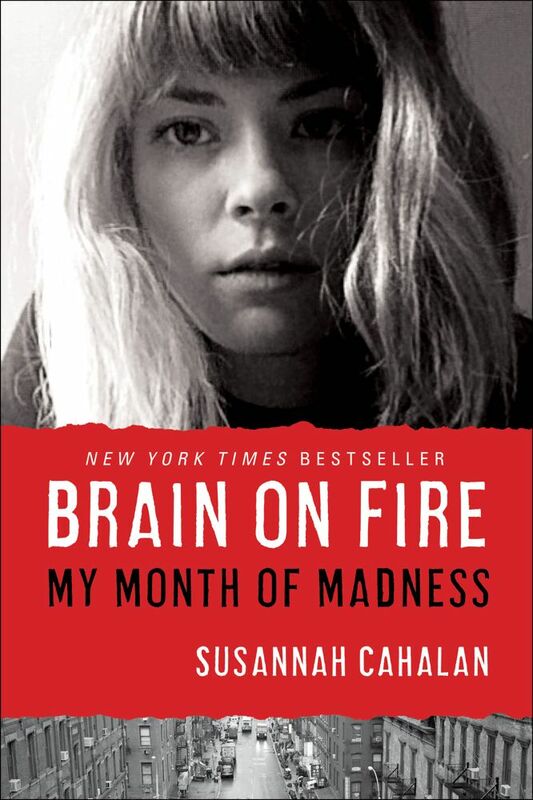 There's no vanity in Brain on Fire — Cahalan recounts obsessively searching her boyfriend's email for signs that he was cheating on her (he wasn't) and loudly insisting to hospital workers that her father had killed his wife (she was alive). Cahalan is nothing if not tenacious, and she perfectly tempers her brutal honesty with compassion and something like vulnerability. It's indisputable that Cahalan is a gifted reporter, and Brain on Fire is a stunningly brave book. But even more than that, she's a naturally talented prose stylist — whip-smart but always unpretentious — and it's nearly impossible to stop reading her, even in the book's most painful passages. Reflecting on finding a piece of jewelry she'd lost during her illness, she writes, "Sometimes, just when we need them, life wraps metaphors up in little bows for us. When you think all is lost, the things you need the most return unexpectedly." Brain on Fire comes from a place of intense pain and unthinkable isolation, but finds redemption in Cahalan's unflagging, defiant toughness. It's an unexpected gift of a book from one of America's most courageous young journalists.